Android fragmentation is always a hot topic among the Android faithful and detractors alike. But just how many different variations of the Google-based operating system are we talking about? New research found almost 4,000 distinct Android devices in the wild. For the past six months, OpenSignalMaps has been collecting data about Android users who have downloaded its app. Of the 681,900 devices catalogued by the firm, researchers "spotted 3,997 distinct devices," OpenSignalMaps said this week. "We've looked at model, brand, API level (i.e. 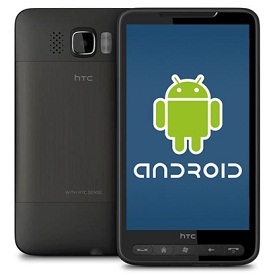 the version of Android) and screen size and we've tried to present this in the clearest form we can," the company said. Not surprisingly, the Samsung Galaxy S II - which hit 20 million in global sales back in February - was the most-popular device, with 61,389 owners downloading OpenSignalMaps in the last six months. Overall, OpenSignalMaps catalogued 270,144 Samsung devices. HTC was the second most-popular brand, followed by Sony and Motorola. Overall, OpenSignalMaps picked out 599 separate brands. "While the number of different models running Android will continue to increase we've seen Samsung take the lion's share of the Android market, most of that due to the Galaxy product line," OpenSignalMaps said. "Testing on the most popular Samsung & HTC devices will get you a long way." The customizable nature of Android naturally helped create the almost 4,000 distinct devices, but "one complication is that custom ROMs can overwrite the android.build.MODEL variable that we use for the device model," OpenSignalMaps said, prompting "a staggering 1,363 device models appear only once in our database." Still, the company did spot some little-known devices, like a 10.1-inch Hungarian tablet called the Concorde Tab, a dual-SIM Indian phone known as the Lemon P1, and a Spanish entertainment tablet, dubbed the Energy Tablet i724. There were even two Fusion Garage-based tablets. What about Android version? Android Gingerbread is still the dominant version of the OS, with 55.4 percent, down from 65.6 percent last year. "One year ago the top two Android versions accounted for 90 percent of devices, now it's closer to 75 percent - a challenge for developers," the company said. According to recent data from Google, 64.4 percent of all Android devices are running Gingerbread. Slightly less than 5 percent are running the latest version of Android, Ice Cream Sandwich. A March report from IDC and Appcelerator suggested that Android fragmentation would drive developers away from the platform and contribute to its "slow erosion." Google executive chairman Eric Schmidt raised eyebrows when he appeared at the Consumer Electronics Show in January and argued that Android is not fragmented but "differentiated." For more, see Hey, Google: Here's What Fragmentation Means. Also check out PCMag's full review of Android 4.0 Ice Cream Sandwich and the slideshow below.